Imprint Method: Decal, Imprint Method: Direct Print, Imprint Method: Digitek - Put your brand on a memorable promotional tin that's built to last. 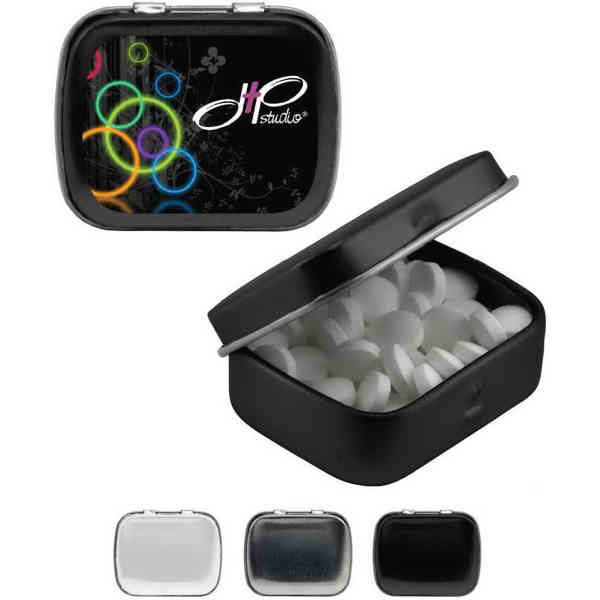 These mini hinged tins come complete with a full color decal or one color direct print to complete your custom promotional look. These mint storage tins are great to give away at conventions, hotels and more. They're FDA registered or approved and measure approximately 1.69"W x 1.38"H and are ideal for a variety of events, recipients and industries. Size: 1.69 " x 1.38 "